You’d be forgiven for thinking that this coffee shop in Roanoke, Virginia, was like any other. CUPS has a quirky reputation and serves great coffee, but other than that, it seems pretty normal. However, the cafe recently started rewarding customers based on their politeness. Customer service workers generally have it pretty tough. They work long hours on low wages, often relying on tips to supplement their income. If that wasn’t enough, they also have to deal with hundreds of customers a day, some of whom can be rude and unkind. 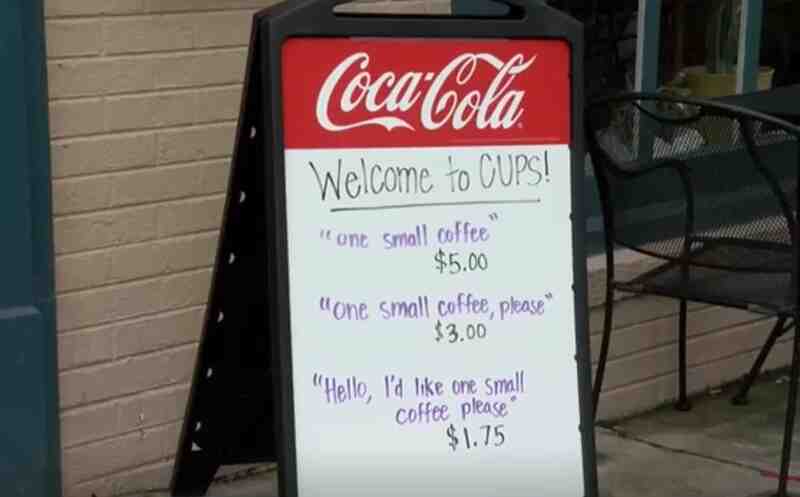 Austin Simms of CUPS, however, has worked out a way to make customers more polite to him and his staff. Yes, in the morning before you’ve had your coffee you may be irritable and tired. Yes, you may be in a rush and there’s a queue. Next, your coffee takes too long. It’s a bad Monday, we’ve all been there. But you should still treat your server with kindness and respect. How great is that? Treating the person serving your coffee like another human being is free, and now it even offers you a discount for your politeness! While coffee prices are obviously variable, the discount still applies if you are polite. The sign soon went viral, but Simms stayed very cool about the situation. 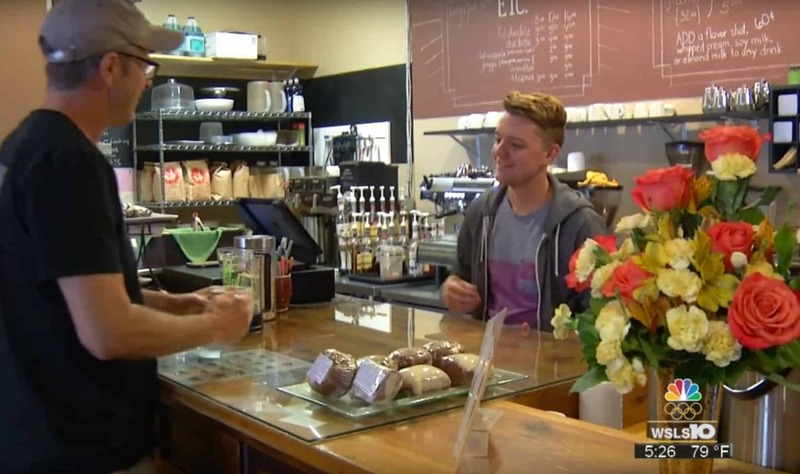 “I decided, because I need to solve all the injustices of the world, to start charging more for people who didn’t take the time to say hello and connect and realize we’re all people behind the counter,” he told WDBJ7. What do you think of the system? Would it remind you to be more polite? Let us know in the comments, and be sure to share with your friends and family if you liked the message! Check out similar stories on Happiest.